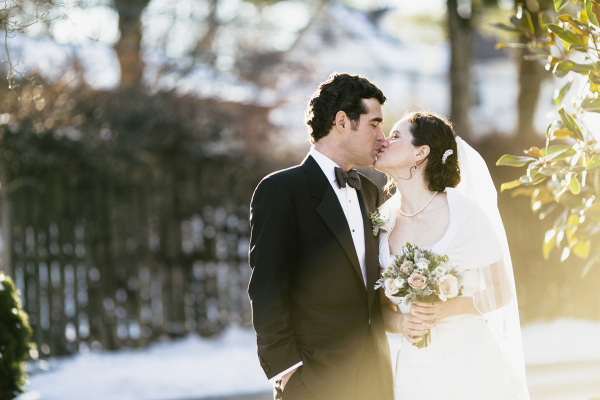 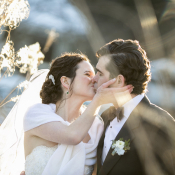 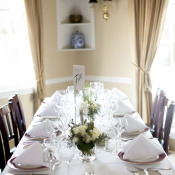 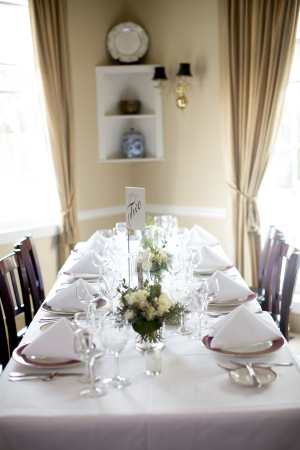 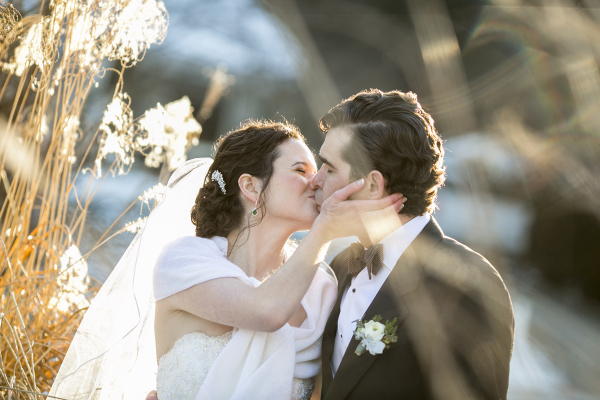 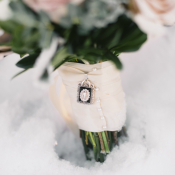 We think a snowy wedding day is just the most romantic thing! 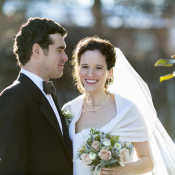 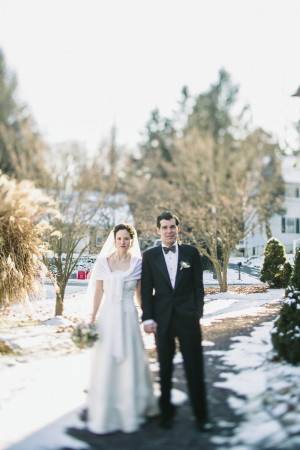 Jessica and Chris wed at General Warren Inne in Malvern, Pennsylvania, as a blanket of the white stuff sparkled on the ground. 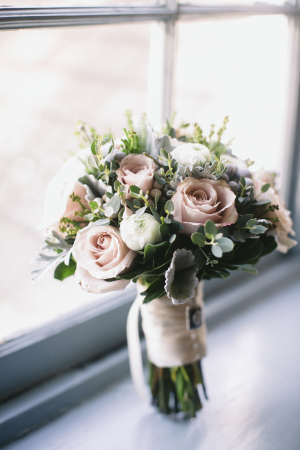 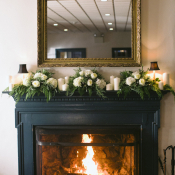 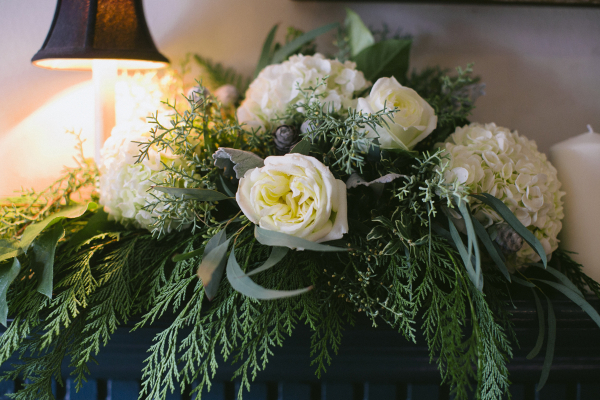 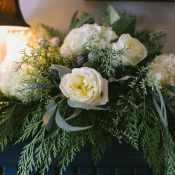 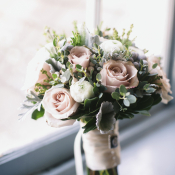 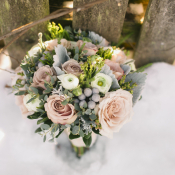 The snow provided a pretty backdrop for pink, cream, and gray florals by Cottage Flowers Floral Design, which were lush and lovely inside the cozy inn. 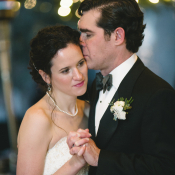 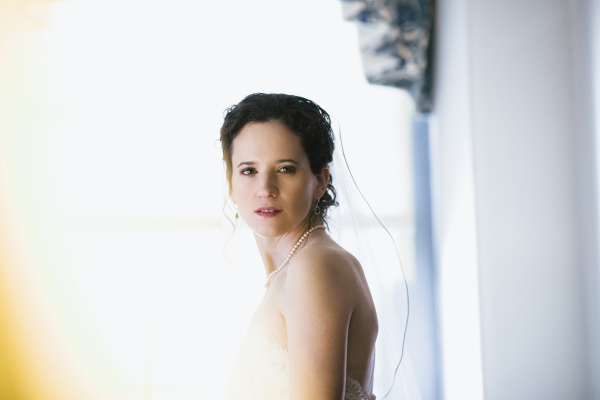 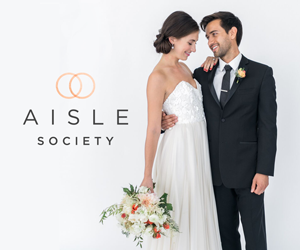 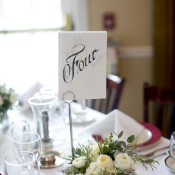 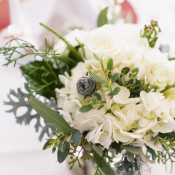 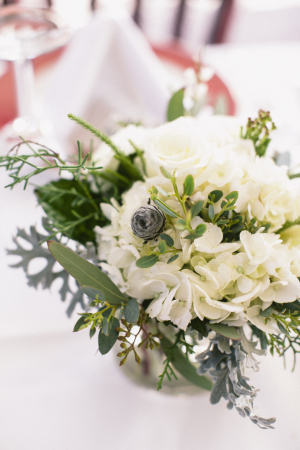 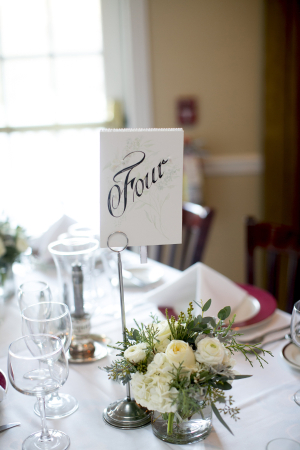 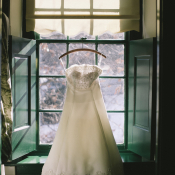 Nadine Rovner of Love Me Do Photography captured details of the day, like the wonderful beading on Jessica’s strapless gown from The Sample Rack and the simple cream and green reception decor. 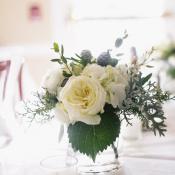 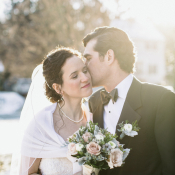 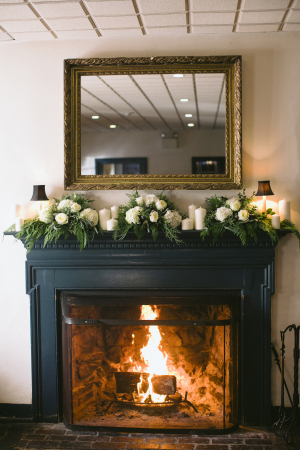 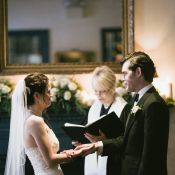 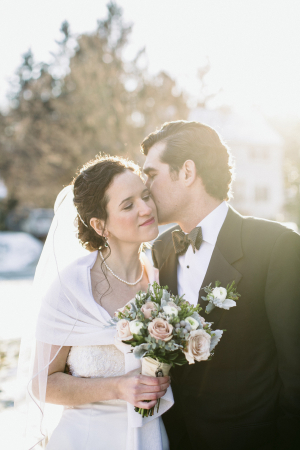 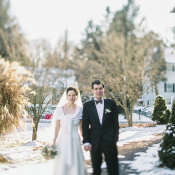 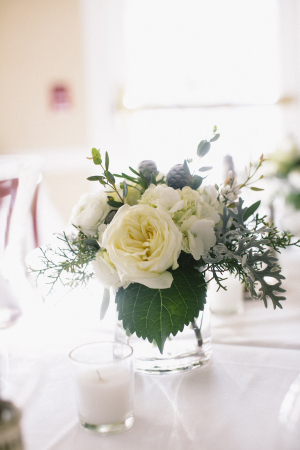 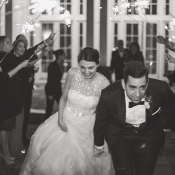 Everyone loves a snow day, and this wedding shows us why!